Hi all, I have a quick shot with James E. Shields today! James' project, Choose Your Own: Sci-Fi Stock Art, is currently in its last days on Kickstarter and he's just answered a few quick questions for me below. Choose Your Own: Sci-Fi Stock Art is a project that lets creators mix and match sci-fi stock art to create instant masterpieces for their tabletop roleplaying game. I love the "choose your own..." style of the art for the Kickstarter and all - I was a big fan of such books growing up. 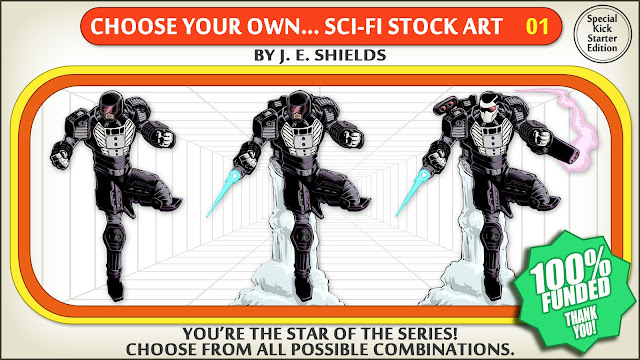 What is Choose Your Own: Sci-Fi Stock Art, both as a product and as your vision? As a product, it is hundreds of individual sci-fi art assets that can be mixed, flipped, rearranged and more to create custom images for roleplaying games. As my vision, it is a continued effort to help independent RPG publishers bridge the gap between pure commissioned art and stock art. It's my way of giving back to a community that has given so much to me. How did you develop and decide on the various art assets that you've put together for the purposes of the Kickstarter? I will be using a mix of existing assets as well as creating all new illustrations from ideas that backers submit. I'll read through the pool of ideas and take those that inspire me. It's going to be exciting because it will be the first time in a long time that I get to create a bunch of art based purely on inspiration instead of assigned ideas. It's also really cool because I can have ideas that I think are good, but then I get submissions and it will blow my mind that I get paid to illustrate ideas like that. What has been the best part of running the Kickstarter, and what have you learned for future projects? The best part? Without a doubt, hands down, absolutely, it has been the response from the independent publishing community. I couldn't ask for better support from the RPG community. The gratitude they express for creating this project is unparalleled. Every day for probably the first week, I'd have another voluntary offer to include their product as a reward for backing my project. The amount of complimentary awards is so high that it is actually MORE than the value of my Kickstarter pledge levels! I have learned, by accident, the value of symbiotic relationship in the RPG community. I began creating custom stock art as a way to express my thanks for publishers who have given me the best hobby ever. That act began friendships. I don't have to try to sell a product to any of them. I just create something that my friends benefit from. Connecting through the shared experience of roleplaying games is what we should all strive for. You listen and communicate with friends. That is what will drive my next project. I love the modular art! Very cool! Thanks so much, James, for the quick interview! I hope everyone will stop by the Choose Your Own: Sci-Fi Stock Art Kickstarter to see if something will meet their needs today! This post is unpaid, but Thoughty is supported by the community on patreon.com/briecs. Tell your friends! 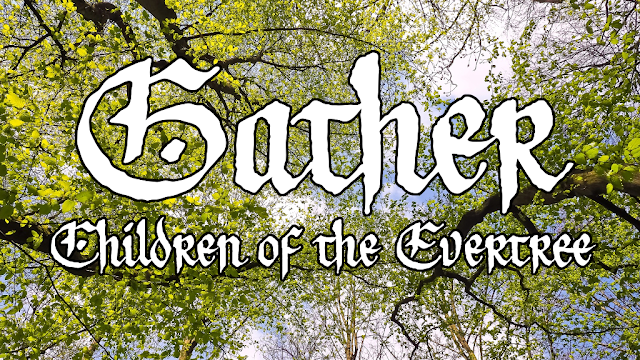 Today I've got an interview with Stephen Dewey on Gather: Children of the Evertree, a freeform GM-less game currently on Kickstarter. Gather sounds like a really fascinating game and uses one of my favorite mechanics: asking questions. Check it out! Gather: Children of the Evertree box set. Tell me a little about Gather: Children of the Evertree. What excites you about it? Gather: Children of the Evertree is a worldbuilding game built around a freeform/LARP style of play. I call it a "roundtable LARP" because while you'll be immersed and in-character from start to finish you're still sitting around a table with friends while you play. In Gather, you take on the role of Speakers - each of you an elected representative chosen by your respective Kinship or community - that have crossed the vastness of the Evertree to attend an annual meeting known as the Gather. In theory, the Gather is a great idea. Every year the Kinships of the Evertree may send a Speaker to go the Gather and discuss the previous year, talk about shifts and changes, discuss the affairs of the world, and so on. However, the Gather is a meeting so saturated with laws and customs that trying to conduct this meeting is often frustrating, limited, and feels almost alien and otherworldly (to the players) in its execution. The rules that govern the Gather don't only limit what you can talk about, but how you can talk about it. Practically, the game is played out with a deck of cards. The game is GM-less, zero prep, you just draw the first card and dive right in. The cards explain how to play, provide a little bit of information about the world in which you live, and then present the heart of the game - a number of Question cards. You'll draw a card, ask the question to the group, and then the answers to these questions form the "discussion" of the Gather. What's exciting about this is that every question and answer helps to shape the world around this meeting. Not just in abstract ways, but in how the world relates to the Kinships gathered at the meeting. We see the world through their eyes, and that's what shapes it. A few small pieces of setting at the start, along with the questions, provide the edges of the world, but you fill in the rest of it as you play - what's going on in this world, how do these Kinships interact, what threats are out there, what has happened, what is going to happen. It's all hashed out as you play, and presented as it relates to the people who live within the world. In that way, the world is built less by images on a map, and more by the relationships and connections that fill it, which means that the parts of the world that you're going to really dig into and flesh out are the ones that you're interested in, and that you want to see more of. How did you write the question cards and keep them from being boring or repetitive? Every time you play, you're playing with twenty question cards. Twenty-one if you count "By what name is your Kinship called?" which is always the introductory example question given near the start of each session to get players accustomed to how questions are asked and answered. Of the twenty remaining questions, five are set. Essentially, how large is your Kinship, what do you have a lot of, what do you have a shortage of, how many have joined your Kinship this past year, and how many have left or died. Thematically, these five questions were the ones asked at the very first Gather ever to be held, and so they have been asked at every Gather since. Conveniently, these also help players setup the boundaries and pillars of the world and Kinships so we can see the stakes we're working with. Beyond these, there are fifteen additional question cards. There are pulled, at random, from a deck of fifty when you're setting up for your session. Thematically, these are questions that have been asked at other Gathers that have come and gone in previous years, since each time the Gather meets a new question is added to the collection (more on that in a bit). This provides you with a lot of variation when you play. Every time you sit down for a session you could choose to revisit a Kinship you've played before, or make one entirely new, and this may change how you play and the interactions you have with others. However, changing what the questions are from session to session and, just as importantly, changing the order in which they're asked will drastically alter how players approach the game, and the themes that are present at your table. After these twenty question cards have been gone through, every player has a chance to ask one question of their own design to the group. Once these have all been asked and answered, a vote is held, and a single player-generated question is added permanently to the game for a chance to be asked at all future Gathers. Tell me more about the Kinships. How are they made up? What meaning do they have? Your Kinship is the community, family, guild, nation, or assembly that you have come to the Gather on behalf of. It's your job to represent your Kinship as their Speaker. Every player takes the role of a Speaker, each of them from a different far-flung Kinship scattered across the Evertree. To take up the role of Speaker is a heavy responsibility because within the Gather you don't even speak as an individual. Every word you speak carries the weight of your entire Kinship behind it, so it is tradition to hear Speakers use words like "we", "us", and "our" rather than "I" and "me". Kinships start as nothing more than a name. While you're learning how to play the game players are given an introductory example question which is: "By what name is your Kinship called?" Everyone then has the opportunity to name their Kinship. You know a little bit about the world at that point, about the Evertree in which you reside, but beyond that the name of your Kinship is entirely up to you. You'll announce it, and then write it down on a notecard for all to see. Maybe you're The Branch Tenders. Maybe you're The Forgotten. Maybe you're the Astral Cardinals. Maybe you're Those Whom The Rot Found. Whatever you'd like. After the Kinships are named however, and you start into the first few questions of the Gather, magic happens and these communities that didn't even have a name fifteen minutes ago suddenly come to life. All of the Gathers questions relate back to these Kinships, how they're doing, what they need, and what they have to offer, so every time someone answers a question you learn a little bit more about what that Kinship is, who they are, and how their little corner of the world works. Video by Galactic Network talking with Stephen about Gather. How does player interfacing with the layers of tradition and rules at the Gather influence storytelling? To really explain this, let's delve a bit into the mechanics behind the Gather, because how the "laws" of the Gather force you to engage in this meeting directly influence how storytelling takes shape. Once players have gotten past the setting cards and the "how to play" cards they're left with the core of the game - the question cards. When a Speaker flips a question card they read it aloud. As an example, the question might be "Has war been brought upon you by another this past year, whether by words, stones, powder, or hex?" All of the Speakers then consider their answer to this question, and at the moment the Speaker who read the question discards the card all of the Speakers answer the question on behalf of their Kinship in unison. This unified answering is a critical component of the laws that govern the Gather as a sign of respect to all Kinships. No one Kinship's voice is more important than another. Every Speaker begins the game with three tokens, and after this cacophonous answer is given to a question, Speakers may offer their tokens to their fellow Speakers, offering them to anyone they'd like to hear more from. This could be if you heard someone give an intriguing answer through the din, or for any number of other reasons. Once all of these tokens have been handed out, if you've been granted such a token (and have accepted it) you have the opportunity to state your answer once more. This time, you'll say it by yourself, and may elaborate on it if you'd like. For example, if you heard me say something about hexes amid the united answer, you might offer me a token to hear more because hey, hexes are cool. If accepted I would repeat my answer and elaborate on it. For instance, I might say "Yes, a war of hexes. We believe the Rotchildren have laid a hex upon our crops. They do not grow, they only crumble and spoil in the fields." Maybe I've just called out another one of the Kinships at the table, or maybe I've invented a new one. Now that I've given my answer, any Speaker may offer me another token to speak further, but these must be paired with a question. If I accept the token I must answer the question. So, you might ask me: "Believe? Do you have any proof that it was the Rotchildren?" If I accept your token, I'll respond. "Technically, no. But we know the ways of the Rotchildren. This is how they work. Everywhere they travel in the Evertree they bring destruction with them. They have always looked on our lands with envy." Again, any Speaker might offer me a token with a new question, and this will continue until either all questions have been asked and answered or until I refuse to answer a question. Perhaps the Speaker for the Rotchildren offers me a token and asks "And who exactly did that land of yours belong to before you stole it away?" If I hold up my hand and refuse to answer (sometimes a far more dramatic choice than answering) my time to speak is done and we move on to the next Speaker who was given one of the initial tokens. While everything outside of the question cards and the initial setting information is entirely improvised and created by the players during play, this playstyle of questions and answers creates built-in prompts for storytelling to build off of. You're never presented with a blank canvas and told to "go!" instead you're guided more easily into collaborative storytelling by building off of each other's prompts, questions, and answers. What themes and setting elements do you think Gather does best, and what unusual possibilities are there to explore in the worldbuilding? The structure of Gather's gameplay is very similar to the Evertree itself. A good way to think about the game is to think about the question cards and the answers given in unison as the trunk of the tree. These are the solid foundation of the world. A question tells us things about the world, and the answers tell us things about the Kinships. From there, players have the ability to go down these tangents of questions and answers, literally off-shooting from the trunk like branches. These branching paths of answers, questions, more answers, and more questions allow you to follow these paths of story and worldbuilding as far as you'd like, letting players focus in on what is cool to them and really digging into the threads that excite everyone, before coming back to the trunk and shooting off onto the next branch. Finally, when all the branches you want to explore have been explored, we move up the tree to the next piece of the trunk. I know that freeform, live action, or improv-heavy games can be intimidating to more traditional tabletop groups, but as with many of my games I have endeavored to make Gather a more guided experience. It's like an improv with a safety net. Even if you're not quick on your feet with creating answers that doesn't matter as much because you can just speak quietly and let you half-answer get lost in the din. Not interested in exploring your thread further? You can always reject tokens. There are a lot of options here even for people who may not be as comfortable spinning worlds off the top of their heads. What's especially fun to explore in the worldbuilding is that there are very few boundaries. This world can truly be what you'd like it to be. And even if you play the same Kinship session after session, that doesn't mean that anything about the world or the Kinships within it will stay the same. Are there societies and cities in the Evertree's branches? Are you human? Are you a nest of birds? Nearly anything is possible, so the possibilities from session to session are endless. I anticipate that this is a game that will fuel fantastic, terrifying, and beautiful concepts for Kinships that will keep you wanting to come back to the table with it to try out your next great idea. 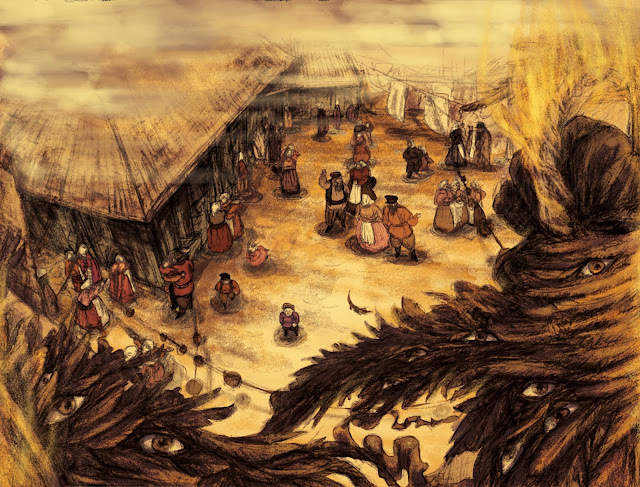 Lovely image of the Gather: Children of the Evertree title. Thank you so much for the interview, Stephen! I hope you all enjoyed hearing about Gather: Children of the Evertree and that you'll check it out on Kickstarter today! Hi all! 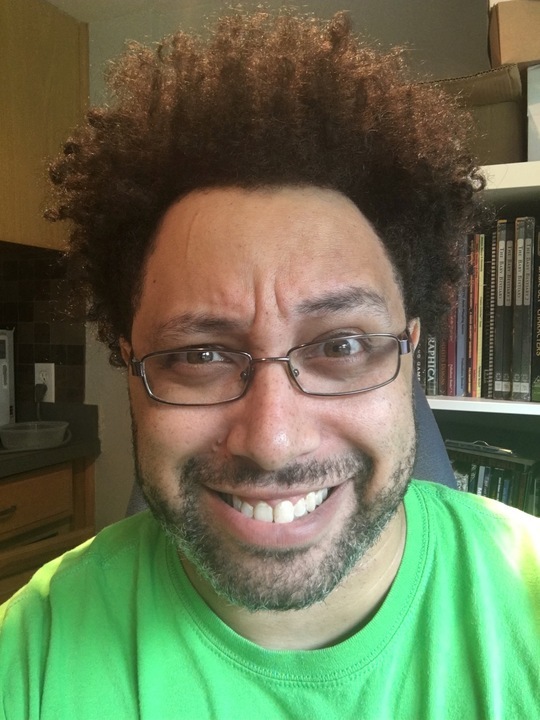 Today I've got some answers from Misha Bushyager, Eloy Lasanta, and Jerry D. Grayson of New Agenda Publishing on what they're working on, what they want to do, and what New Agenda Publishing means to them. They released a quick start this week for Orun and I wanted to highlight them while I could! Tell me a little about New Agenda Publishing. What excites you about it? Misha: For me it was a chance to be the change I wanted to see. Too often when women or PoC or queer people ask for diversity, we get told to make our own thing if we want to see it, so this is us doing that, specifically calling out that it's what we're doing. Eloy: My answer is pretty much the same. I love to create games and stories, but we are using New Agenda as more than just another game company. 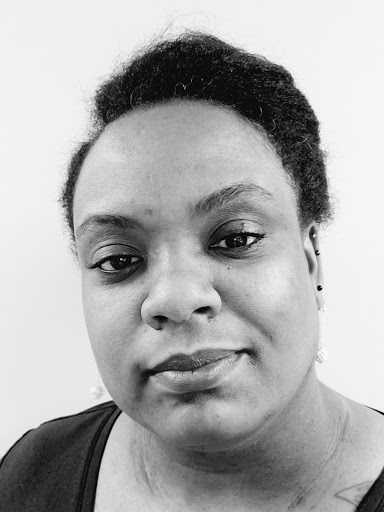 We have a platform through which to help new voices, many of which are from marginalized communities really tell their own stories, ones very different from what’s already out there. I wanna be a part of that. Jerry: Being marginalized is the same as being invisible. Being invisible makes you easily discarded or trivialized. I’ve always been told I can have a seat at the hobby table, but it's difficult when there is no chair. My agenda is to help provide enough chairs at the table for everyone. I’ve found my place, I’ve hit my stride, and I’ve achieved a slight amount of success. I want to play all that forward and help anyone, doesn’t matter color, creed, or orientation find a spot in the hobby. I want everyone to feel welcome and comfortable in their skin. What excites me about New Agenda Publishing? The chance to amplify and execute ideas I believe in. To show that so-called minorities have just as much to offer to the hobby and industry as anyone else. To prove that varied backgrounds bring diverse ideas to the table and create something more significant than the individual creators. I’m excited to share a byline or credit with people of different colors and genders that want to make games. What are the core goals of New Agenda? What is your mission? 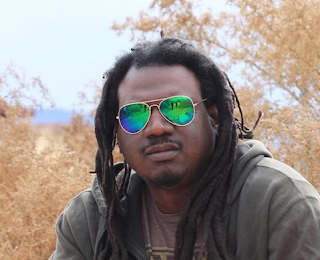 Our core goals are to help designers from underrepresented populations successfully create games. This to us means more than just writing them. We want them to be able to find artists, and other writers and editors and distributors. We want to mentor people on both the creative side of games, but also the business side. We want to show them how to market, how to run a Kickstarter, how to work with a printer, all the nuts and bolts that get their games into the hands of players. Right now, we’re putting together all the foundations and structure for us to be able to do this. How are you finding appropriate projects to publish and what are your criteria? We decided early on that the first thing we did should be a flagship project that showed we could work together and that highlighted each of our strengths. We’re three very different people, all creative but with different backgrounds and skill sets. After we each separately came up with a list of ideas we narrowed it down to the couple of things we had in common and what is now call Orun is what emerged. 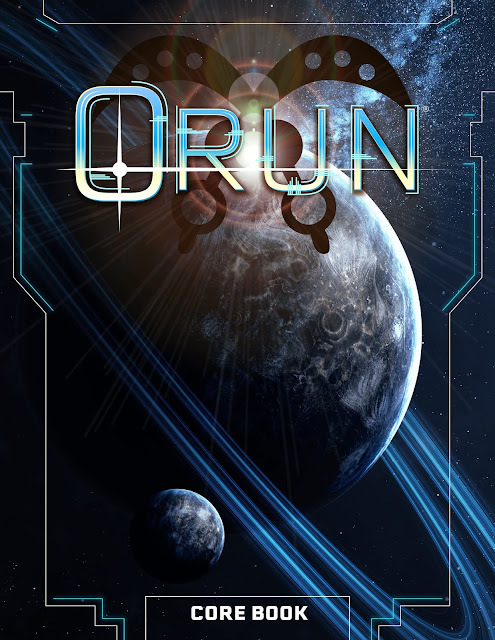 The Orun core book cover. What oversight will you have of products your publish to make sure they meet your standards? How will you handle conflicts? The great part about this new venture is that we all have experience in what we’re doing. We all have quite a few projects under our belts, but now we’re putting our collective abilities together to make something greater than the whole. If you’ve checked out any of our projects in the past, you’ll see that we already have incredibly high standards for our products so sticking to that is key. As for conflicts, I think the thing to understand is that we certainly didn’t jump into New Agenda Publishing lightly. It is a company founded on mutual respect for each other opinions and skills, and we’ve already shown that we can handle conflicts internally with communication. We all come from different gaming backgrounds so we already knew we wouldn’t agree on every matter, but we have learned to find middle ground that pleases everyone on a few occasions. Other times, we’ll defer to the person most experienced or most excited about a particular concept. Conflicts are key to learning how you’ll work together, and thus far, I’m excited! If you wouldn't mind, what are each of your personal goals for New Agenda Publishing, both near and far reaching? Misha: Near term I want to have a successful launch of Orun to prove we can take a project from soup to nuts and still want to work together. We're three big personalities but so far we've meshed well and I can't wait to see what else come out of our collaboration. Longer term, I want us to become a place where people aren't afraid to pitch us their ideas, trusting us to help them nurture their ideas to completion, and hopefully success. Eloy: I’m never one to build go small. I speak my mind, I push myself creatively, and I try to bring others along and make sure others are doing the same. With New Agenda, I see the next step in my own personal goals of advocating and encourage the industry to continue to grow and evolve. Specifically, I see New Agenda Publishing becoming one of the few big RPG companies within the next few years. We’re starting small but our plan is to surge with activity as soon as everything is off the ground. Oh man, I really can’t wait! Jerry: Near - I want to make games that bring everyone to the table. My Questing Beast is making something so excellent and inclusive that everyone wants to participate. To do this, I need the best and the brightest creative talents out there, and I believe many are not yet discovered. I can’t do this alone, I don’t want to do this alone, and I refuse to do this alone. The well is a lot deeper than any of us can imagine and the world is full of people that want to create and play the game. I want to touch them all. Far-Reaching - I want to build a community that’s inclusive, sprawling and informed. For the longest time, many in the community have felt left out, underserved, and disenfranchised. The hobby community is like a huge quilt made up of many colors, textures, and points of origin. I want the community I play in to reflect that. I'm not one monolithic culture, and the hobby community isn’t either. Let’s celebrate what makes us different in a positive way. Ultimately, I want us all under that quilt snuggling and keeping warm together. The New Agenda Publishing logo. Thank you so much Misha, Eloy, and Jerry for the interview! I hope you'll all look out for the Orun quick start and everything else that New Agenda Publishing has to offer! I've had the pleasure of interviewing Avery Alder and Benjamin Rosenbaum about their Kickstarter project, Dream Askew // Dream Apart, two games about community and belonging as marginalized people. I hope you enjoy the interview and that you'll check out the Kickstarter! Tell me about the project of Dream Askew // Dream Apart. Why does this joint project matter to you as a creator? Avery: While these two games tell stories of very different communities—Dream Askew is about a queer enclave amid the collapse of civilization, while Dream Apart is a fantastical-historical game of the shtetl—they're also united in being games about marginalized people building a community for themselves against the odds, what we call games of belonging outside belonging. For me, this project matters because telling stories about finding our collective power and learning how to live together in community matters. And I feel really proud about how we've merged those themes with the mechanics: power is distributed around the table, and rather than relying on chance, everything is driven by the choices that we make together. Benjamin: I love the games we've made, I'm excited about people playing them. I think this kind of in-person game can be a great space for learning and exploring, and I think it's cool that these games celebrate the agency and struggle of communities with complicated relationships to the outside world, in settings that I think matter a lot. What was your collaborative experience like on the project, and how did you handle complications or struggles of any kind? A: Our collaboration gained momentum really slowly! Benjamin first wrote me about using the Dream Askew framework to create a game about Jewish shtetl life in 2014, and it wasn't until 2017 that we committed to an active collaboration and co-development process. I've been really delighted by the ways that Benjamin's innovations in Dream Apart have looped back to transform Dream Askew; key relationships are instrumental in defining the relationship web of the community, and they weren't even in my original design! B: It's been amazing! 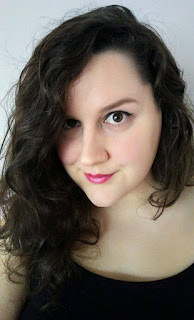 Avery is brilliant, super nice, amazingly supportive, and has oodles of artistic integrity. 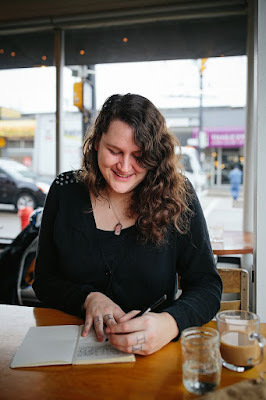 She knows a tremendous amount about game design, community, and the technical praxis of creating and publishing games, and it's been an enormous privilege to work with her. We've handled complications and struggles by talking through them, listening carefully to one another, and making decisions together -- a process that has been strikingly full of fun and ease. I think our visions were very closely aligned from the beginning, and we also have very distinctive areas of expertise in the project. Each of us is the expert in our own game's subject matter, so we tend to naturally defer to that expertise; and while I have a deep background as a writer and gamer, it's my first professional game project, and Avery is one of my favorite game designers, so it's been very easy to trust her judgement on game design and publication issues. Tell me the core purpose of Dream Askew. What about it fuels your passion? A: For me, the passion comes from building something that can be run at the drop of a hat, that tells meaningful stories, that's legit fun to play, and that brings us closer to imagining possiblities for queer community. I think the game is challenging in some ways! 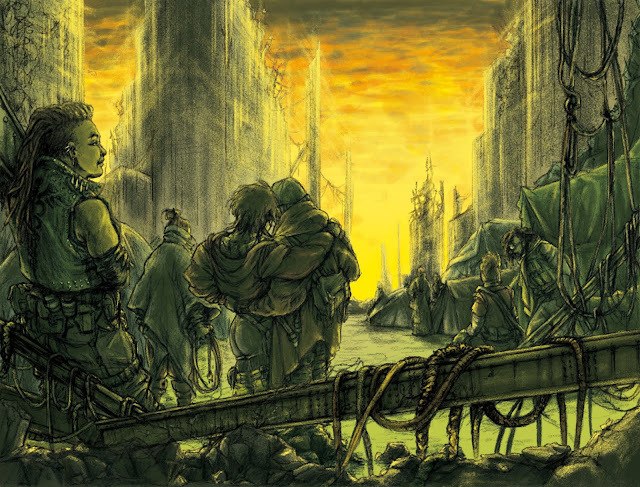 It requires players to take on a big creative load, and to jump into co-developing an apocalyptic world together. But for players who are up to the challenge, it's a delight! 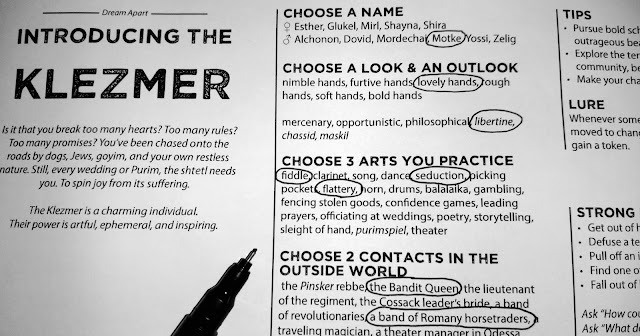 The game uses lists and prompts to point players toward interesting dilemmas, and then gives them space to actually figure out how to handle them. That's exciting! That's what fuels my passion. When you work on the project, what design elements do you keep as key priority? A: I started work on Dream Askew in early 2013, when I was helping run a weekly, drop-in meetup group. It was queer-centering, but welcome to all who wanted to drop in and play something neat. I tried running Apocalypse World a couple times at those meetups, and it never quite worked: the sheets intimidated new players, the mechanics were slightly too dense to teach to new players in the short span of time we had each night, and the game always felt like it was cut too short. I designed Dream Askew to fit perfectly into that space: inviting, quick-paced, and perfect for weirdos. And that remains a priority. I want this to be a game that I can run at the drop of a hat for a gaggle of queers who've never played a roleplaying game before, and I want it to rock under those conditions. Tell me the core purpose of Dream Apart. What about it fuels your passion? B: What I really wanted was to capture the distinctive tone, setting, and underlying philosophy of Jewish fantasy and folklore, which differs from both the traditional high fantasy ethos of a titanic final battle between Good and Evil, and from the aimless-violent-vagabond ethos of sword & sorcery. I wanted to see characters who are rooted in community, in a deeply spiritual but also morally ambiguous world, a world in which evil is written with a small "e": our own human failures of courage and compassion, rather than something alien and essentialized and external; characters who don't wield triumphant violence to achieve their ends, but use wit, grit, and moxie to thrive in a world where they are likely to be always on the receiving end of violence; and just all the rich strangeness, cleverness, yearning, whimsy, irony, self-criticism, soul, and mystery of talmud, midrash, Yiddish folktales, and the literatures of the shtetl. The playbook for the Klezmer. B: I think the main priority is capturing that spirit described above; other priorities include making it an accessible game with elegantly simple mechanics, concise design, and very rich fiction, keeping players supported in story creation so they always have something to fall back upon and aren't left hanging if the flow of creativity stutters, and supporting a social contract that centers everyone feeling safe and curious and excited and connected. The sigil for Dream Askew. What have been some of the most vital elements of growth in Dream Askew over the past five years, mechanically and thematically? A: Mechanically, there are two ways that the game has changed that I think are the most vital: the introduction of the community worksheet, and the introduction of key relationships for every character role. These two changes shift the story of Dream Askew in the direction of community, relationships under pressure, and questions of belonging. The game feels like it contains a deeper treatment of its themes, rather than a more aesthetic, surface-level treatment of what it means to belong to a queer enclave. Key relationships were a piece of the design that Benjamin first introduced into Dream Apart, which I was so excited to borrow back for the apocalypse. Thematically, I think the biggest difference isn't actually with the game, but with the real world that I'm going to be releasing the game into. The idea that apocalypse was a contemporary force which operated in waves at the margins of civilization, that the digital realm would factor into not only the collapse but also what came next... in 2013 this was closer to science fiction. In 2018 it feels startlingly timely to be talking about. I talk about this more in the design notes I'm releasing alongside the game, but I think it's chilly how much more real the world of Dream Askew now feels for me and my friends. The Outliers zine, which is a stretch goal reached on the Kickstarter, includes additional game materials. What elements of queerness speak the most to you personally, and to your experience in games, that you have brought forth in Dream Askew? A: I think there's a bit of misdirection at play in how Dream Askew portrays queerness. Character creation opens with a prompt to choose from a list of strange and unprecedented genders, and to think visually through physical descriptions and wardrobe combinations. Queerness feels like a flashy aesthetic project. And that's definitely a real part of the game, one that it's fun to play around with! But queerness is also the relationships you attempt to hold in balance, and it's the fact that everyone has a different kind of lopsided power that both contributes to the community and also puts them at odds with it. The Iris is a potential healer, but also an unsettling psychic weirdo. The Hawker is a resourceful provider, but also a territorial profiteer. The Stitcher is an engineering genius, but also a strange recluse. The drama of the game comes from watching how these people who hold sway in the community tug its ideals and character back and forth. What were some of the elements of Jewish fantasy and folklore that you personally felt deeply about including in Dream Apart, and how did you include them? B: Most people are familiar with a kind of Sunday School version of the Hebrew Bible, in which the Divine is a kind of mathematically omniscient and omnipotent Santa Claus whose job it is to make everyone be good. A cursory glance at the world around you should make it clear that this doesn't make much sense. In fact the story (or rather stories) that the texts suggest are much weirder. The God of the Tanakh is volatile, mysterious, numinous, and alien; the midrashim and the Kabbalah make this weirder still, with a fractured Divinity in exile from Itself, and a universe-altering magic inherent in the smallest human actions (it's not that much of a stretch to say that in the Lurianic Kabbalah, when mom lights the candles Friday night she is literally healing a tiny bit of the sundered Godhead). The psychic maelstrom of Apocalypse World (and thus of Dream Askew) is the closest thing to this theology that I've found in any game; it feels a lot like what Moses encountered at that bush in Midian. Magic in games tends to feel like engineering at best, and more commonly like ordering from a menu at Denny's. Gods are either absent, or they're statted-up dispensers of plot tokens and buffs. I wanted a kind of magic that would be terrifying, wondrous, unsafe, inchoate. I also wanted it to be tied deeply into the story's drama of moral agency, because so much of Jewish tradition is about wrestling with complex moral questions that have no easy answers. Temptation, solace, power at a price, rebuke, reconciliation, grudges, forgiveness, these things are not just part of the social drama, they're also central to the meaning of the Unseen World. A demon that just wants to try and kill you is not nearly as interesting as a demon that wants you to betray yourself. A golem isn't just a monster, it's an allegory of freedom and servitude, the limits and risks of violent self-defense and of human knowledge. A dybbuk isn't just a possessing spirit, it's one with an agenda and unfinished business. The sheet for the Shtetl for Dream Apart. Were there any unique challenges for approaching the subjects of Jewish culture and beliefs that are not addressed often enough or respectfully enough in popular media? B: To the extent that shtetl culture is addressed in popular media at all -- think the musical-theater and cinematic versions of Fiddler on the Roof and Yentl -- it tends to be in a sentimental, rose-and-sepia-tinted, elegiac frame, ignoring a lot of the complexities and real-world grittiness. Non-Jews are usually offscreen menaces (though to be fair, one of Tevye's daughters does marry one); economics is flattened into a virtuous poverty; and in general, the viewer is encouraged to see the events as a kind of hagiographic ancestral origin story. (The original texts are grittier and sometimes queerer than their tamed stage & cinematic versions, too -- there's a good argument that Singer saw his Yentl, who keeps the name Anshel at the end of the story as opposed to putting a dress on and running off to America, as a trans man.) At one point Avery asked if we should find a more Yiddish-looking font for the Dream Apart playtest kit; I responded that I really liked using the same one we use for Askew, to get away from that coy sentimentality and ram home the point that this, too, was a gradual apocalypse, with -- for its characters-- the same apocalyptic immediacy. Beyond basic structural elements, what are some pieces of Dream Askew // Dream Apart that are similar or contrasting - mechanically and thematically? A: I think one of the most interesting contrasts—and one I haven't talked about anywhere yet—is in how the two games approach supplemental reference materials. Since Dream Apart is historical, its reference materials need to offer up specific, tangible answers: here's what that word means; here's a plausible Russian surname from the era; here's the river you'd walk alongside. Benjamin is working hard to make resources that feel thorough while remaining compact. On the other hand, Dream Askew is speculative and built upon a queer epistemology. Its reference materials need to do much the opposite, to reject a single definition in favour of pitching the question back to players in an encouraging way: that's a great question, what do those words mean? My challenge is being exploratory and playful without coming across as hostile or opaque. The Dream Askew // Dream Apart book and illustration. Thank you so much to Avery and Benjamin for the interview! I hope you all enjoyed the interview and will share it with others! Please check out the Kickstarter for Dream Askew // Dream Apart today! I did an interview with Ron Edwards on his Kickstarter project, Champions Now! Ron prepared our audio recordings and edited everything into a video, so you get to hear the interview on the following video. I hope you enjoy it and that you'll check out Champions Now on Kickstarter today!